Sticky Notes are great way to remind yourself of something to do in the future. Windows has its own sticky note software which you can use to stick any note/reminder on your desktop. If you need a sticky for each website you visit, you can try Float Notes Firefox Add-On. 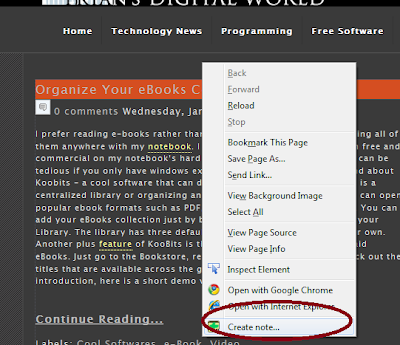 It allows you to add notes to websites, including comments, links or even images. Once installed, you can create a sticky note pressing right click on any part of the website. 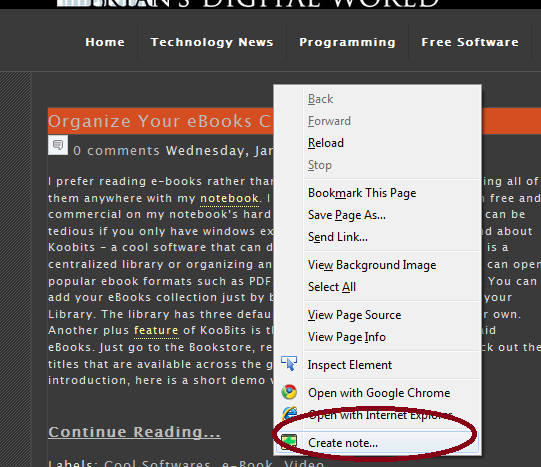 Choose "Create note..." from the context menu. 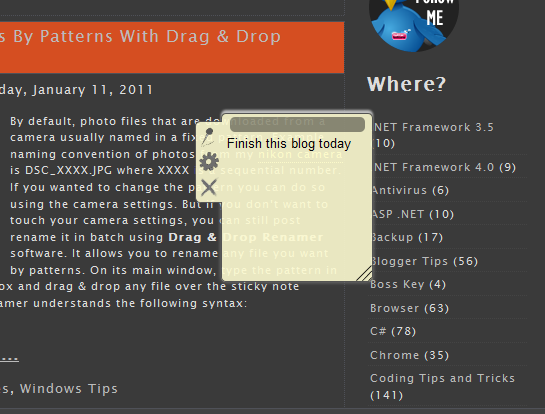 You can move, change the color and ofcourse insert notes (link, image & etc) on the newly created sticky note.